Bert van Marwijk aims to get Australia’s World Cup preparations back on track in Tuesday’s friendly against Colombia in London. The Dutch coach, who has taken over from Ange Postecoglou, saw Jackson Irvine give his side a 19th minute lead in Oslo. But a hat-trick from LA Galaxy striker Ola Kamara and Tore Reginiussen’s strike sealed an emphatic win for Norway, who are ranked 20 places below Australia and did not qualify for the World Cup. It was the worst possible way for van Marwijk and his players to get acquainted ahead of the World Cup, which starts in Russia in June. There is little time for van Marwijk to make his mark before Australia face France, Denmark and Peru in the finals, having qualified by eliminating Syria and Honduras in play-offs. The 65-year-old has three more friendlies and a 30-day training camp in Turkey to shape his new team. Their next opportunity to develop some momentum comes against Colombia at Craven Cottage, the home of English championship club Fulham. Van Marwijk, who led the Netherlands to a runner-up finish at the 2010 World Cup, concedes there is plenty for Australia to work on before they can dream of a strong run in Russia. “I learned a lot with this game, that we are not ready yet,” Van Marwijk said. “I already knew that before. It’s good when you lose, you see the players in these circumstances. “We made too many mistakes, especially defending. When you lead 1-0 and normally we have a man extra in midfield, when you lead 1-0 you must have the control, especially in the midfield. 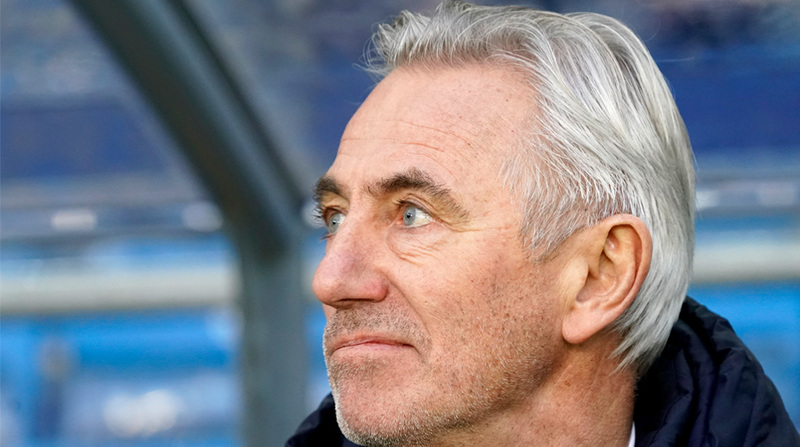 Van Marwijk’s starting line-up is a work in progress as he considers his options for Russia. He gave debuts to forwards Dimi Petratos and Andrew Nabbout against Norway, but was also without key players Matthew Jurman and Trent Sainsbury. “We have two important players who trained this week for the first time but still couldn’t play,” he said of his injured duo. “But yes, you can see we have problems when we defend. I hope that Sainsbury and Jurman stay fit and start to play in one or two weeks. Australia won’t find it easy to hand van Marwijk his first win against Colombia who came from two goals down for an impressive 3-2 victory against France in Paris on Friday. James Rodriguez, on loan at Bayern Munich from Real Madrid, and Monaco striker Radamel Falcao headline the Colombian team, whose World Cup group opponents are Japan, Poland and Senegal.